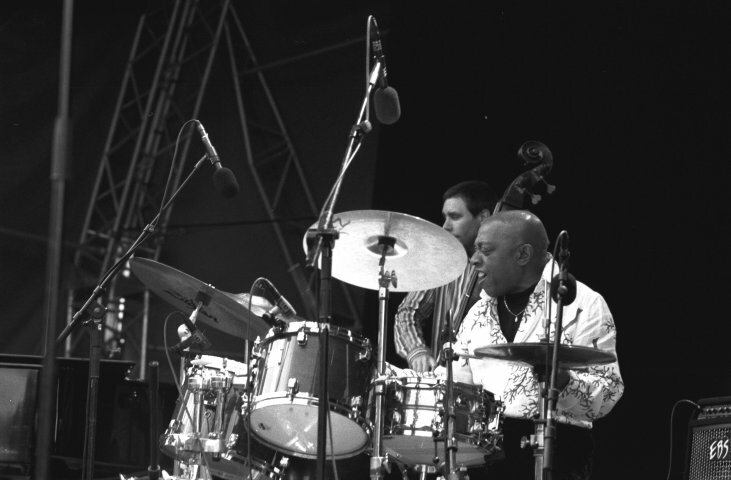 Jazz drummer Roy Haynes has played with all the big guns, legendary musicians like John Coltrane, Miles Davis and Charlie Parker. He turned 86 this year but is till actively playing. Instead of seeing him in Amsterdam's Bimhuis I joined one of my closest friends to see him in Eindhoven instead. When we get to the wardrobe of the venue, there's only a small number of coats there, while the show will start in five minutes. When we enter the soulless venue itself, that looks more like a university lecture room, it turns out only around fourty people showed up. That really is sad, such great musicians and so few people. When they enter the stage they can't believe it themselves. But the professionals they are, they take their instruments and start playing. 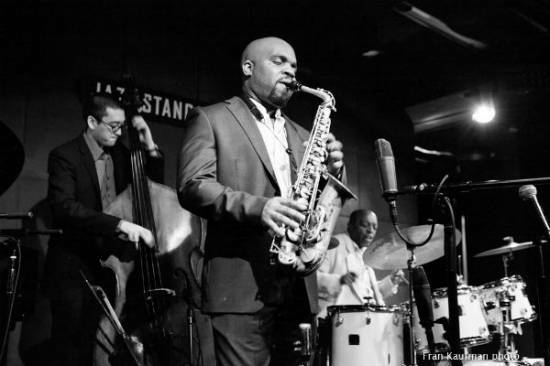 Only saxophone player Jaleel Shaw looks like he would have rather stepped off stage right away. He's a good musician but his playing sounds obligatory tonight and without fire. Piano player Martin Bejerano on the other hand sounds great. He's letting the notes flow beautifully and when he gets a solo all by himself on stage he takes it with both hands. Bass player David Wong also gives his best. His fingers are smoothly plucking the fret board of his bass. Roy Haynes doesn't look like the dramatic attendance bothers him a lot. He's playing some great swing. His solo with mallets is a bit technical, but fun to watch where he seems to be trying out all the sounds a drum kit has. Sometimes he gets up to chat a bit, compliment his band or to do a little rhythmic tap dancing. It's unbelievable this man is already 86! But the beauty of live performances is the chemistry that can grow between musicians and audience. But with such a small audience in a dead venue that's impossible to achieve tonight. And despite the persistent applause at the end, they don't come back for an encore. And who can blame them. These musicians deserve a full house.